The Drama Department did it again. 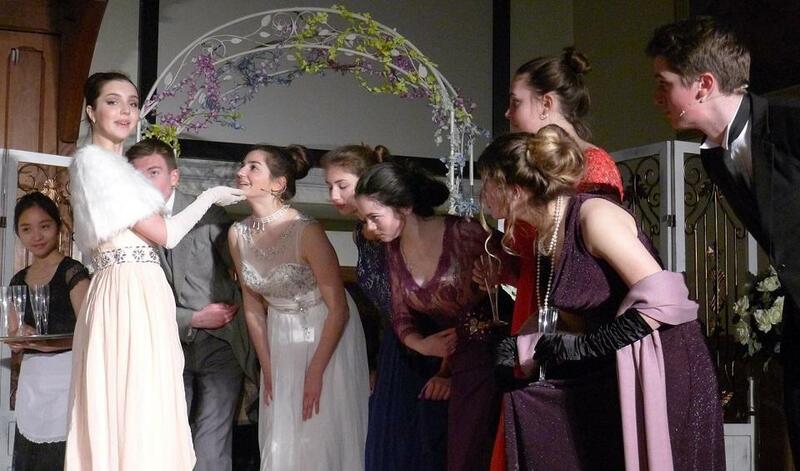 The Senior School production of My Fair Lady was a roaring success with every performance sold-out. Thank you to everyone who came to see the show, the PA for providing delicious refreshments during the intervals and especially to Mrs Ledger and Mrs Love for entertaining us once again with an epic production and a talented cast. You wouldn't have known it, but with less than two weeks to go until the curtains were raised, it was uncertain as to whether the cast and crew would be allowed to stage the show at all, due to its performing licence being withdrawn in the UK. Thanks to Mrs Ledger and ‘a little help from her friends’, special permission from New York City was sought and granted for St Leonards to perform it for one week only - we really did ‘steal the show’! Roll on next year...this production will be a hard one to beat!